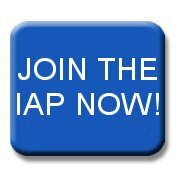 Members who are available for consulting work, full or part time, can publicise their services free of charge in the IAP’s Register of Consultants. The Register is posted on this website and is freely available to IAP members, to organisations that employ IT consultants, and to members of the public looking for help. The format allows for sophisticated searches, and members tell us the Register can lead to valuable new sources of work.